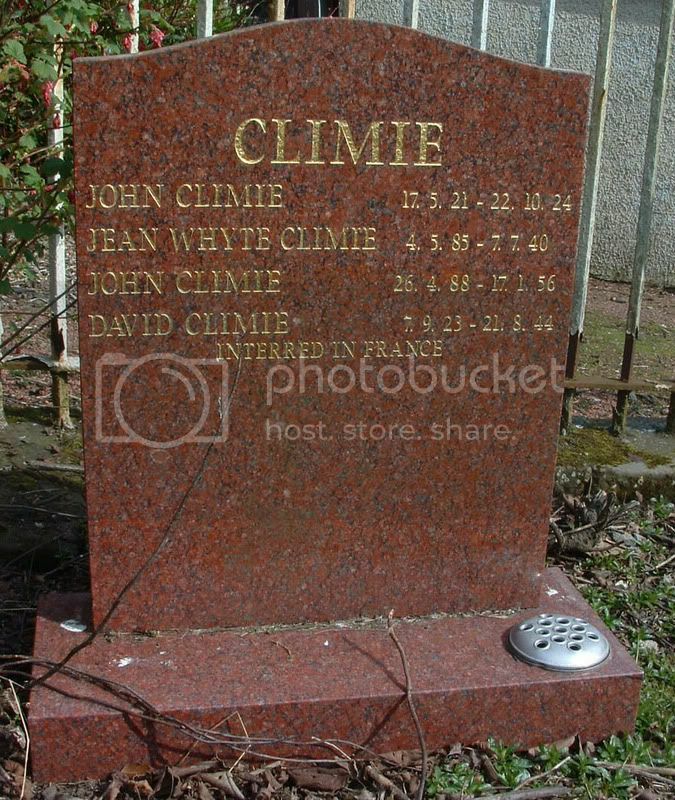 Trooper Climie is one of only two Commonwealth burials in this Churchyard. 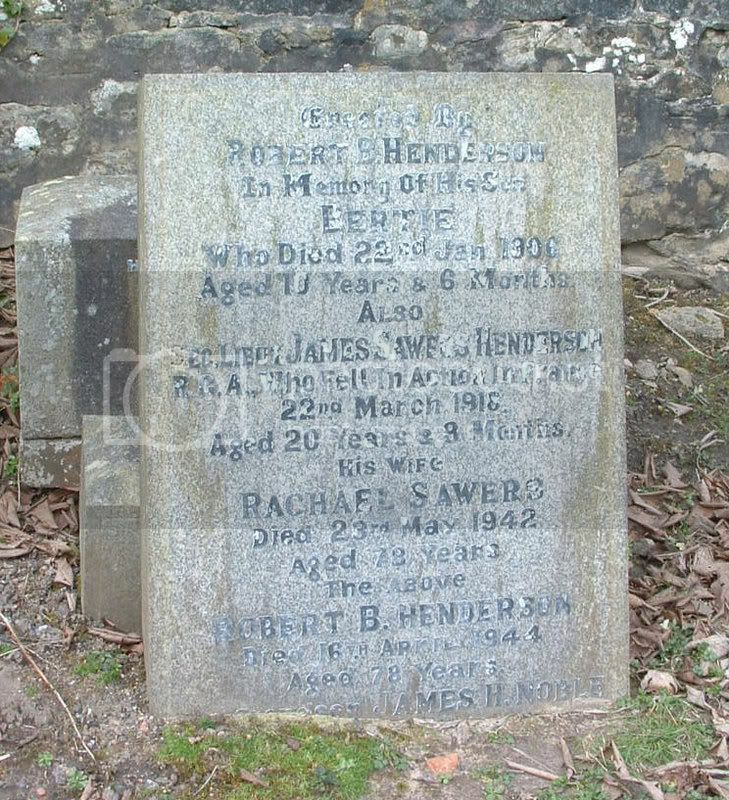 He and Lt. Robert Lloyd Richards (295900) both of the same regiment were killed on the same day. Grave/Memorial Reference:	VI. C. 5. 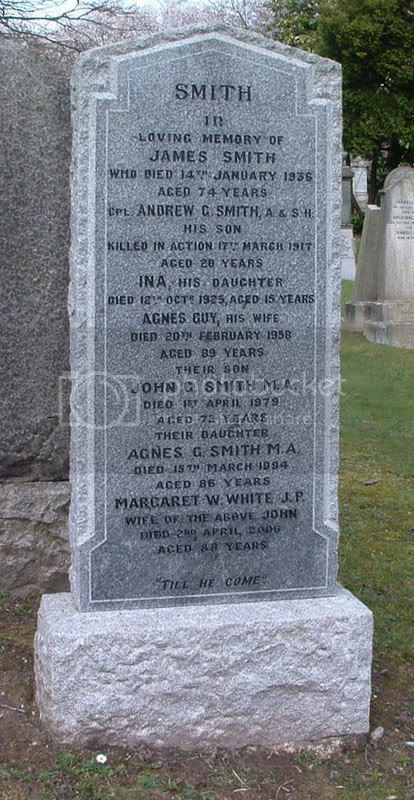 Unit Text:	13th (Scottish Horse), Bn. 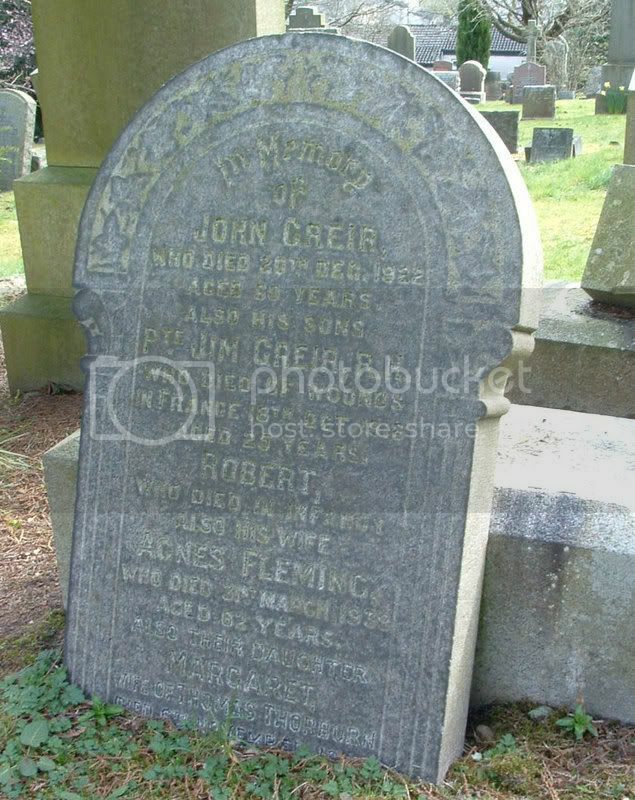 Additional information:	Son of John and Agnes Grier (nee Fleming) of Main St., Cumbernauld, Glasgow. Unit Text:	33rd Siege Bty. 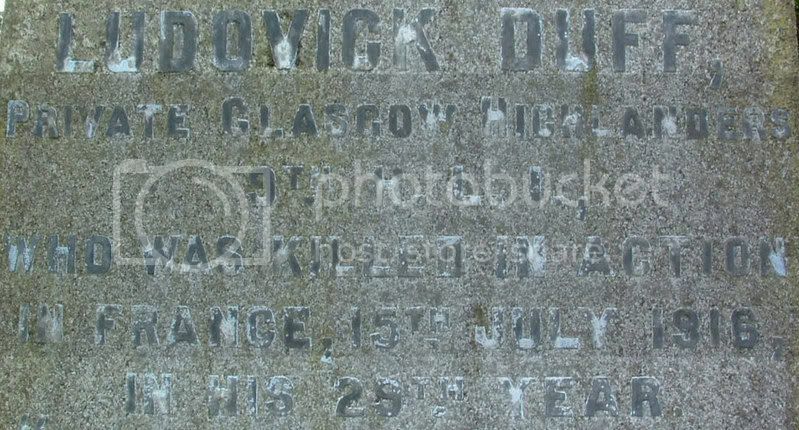 Additional information:	Son of Robert B. and Rachael Henderson (nee Sawers) of Park View House, Cumbernauld, Dumbartonshire. Grave/Memorial Reference:	IV. D. 24. 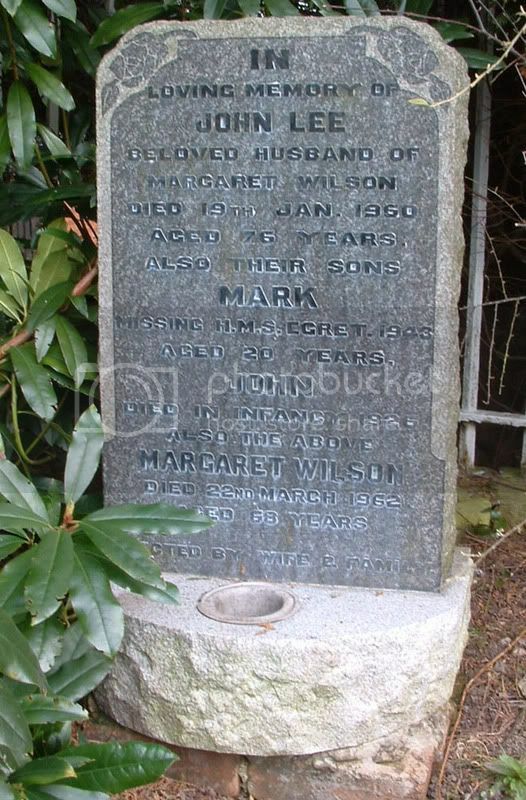 Additional information:	Son of John and Margaret Lee (nee Wilson) of Coatbridge, Lanarkshire. 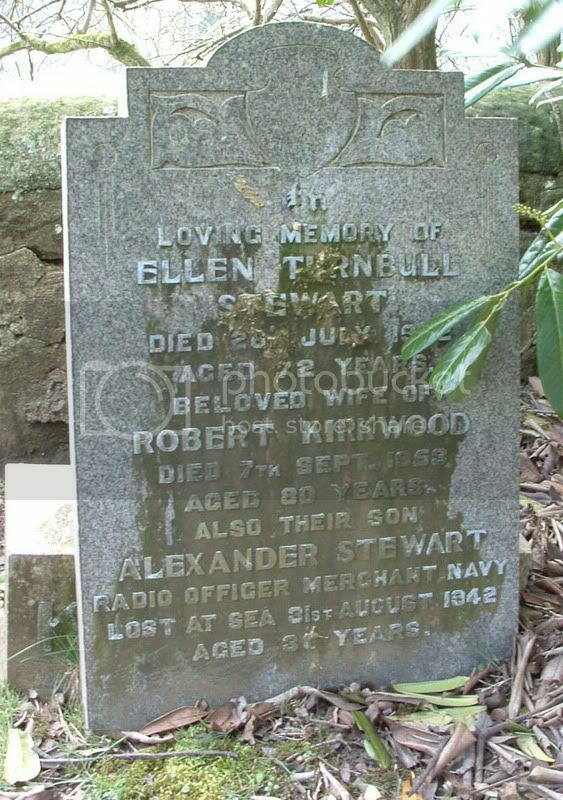 Grave/Memorial Reference:	Panel 78, Column 1. 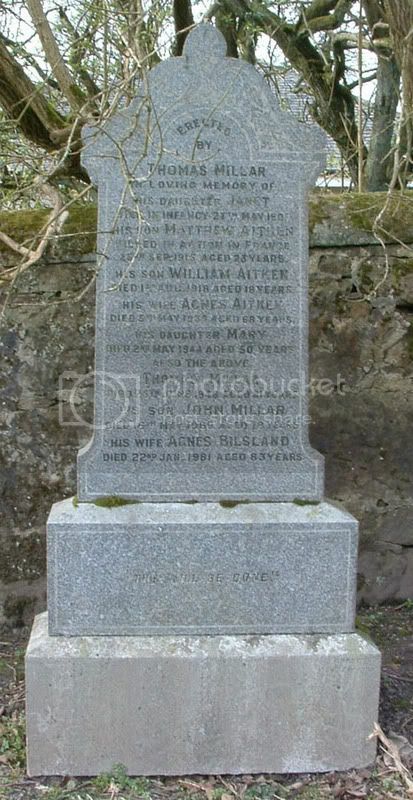 Additional information:	Son of Thomas and Agnes Millar (nee Aitken) of Braefoot. Condorrat. 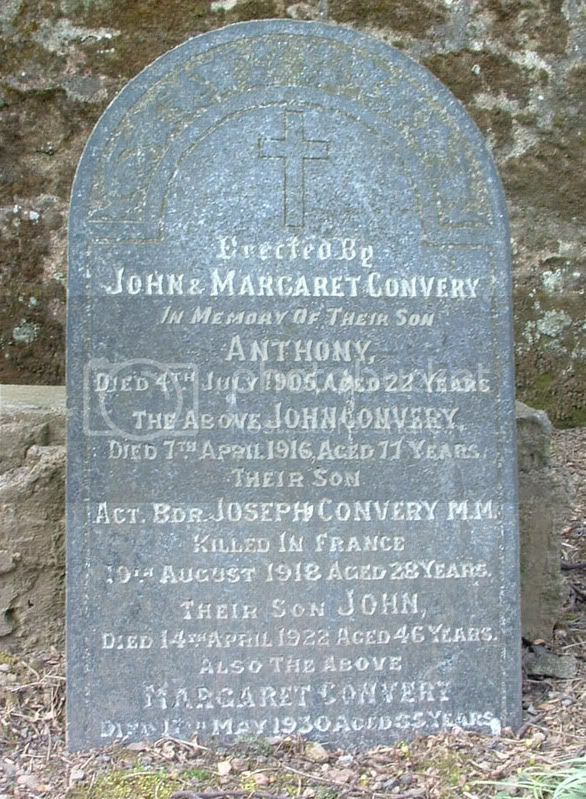 Croy, Glasgow. 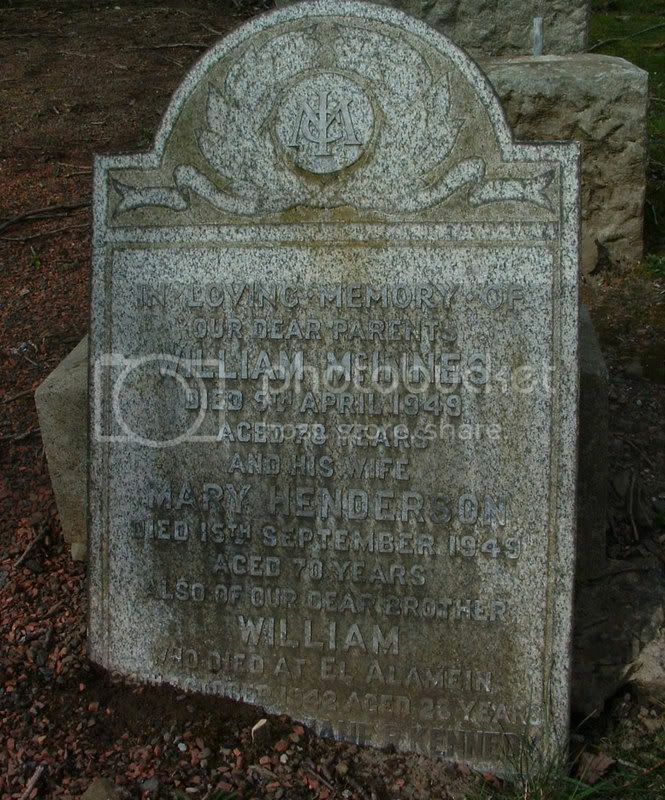 Additional information:	Son of William and Mary McInnes (nee Henderson) of Cumbernauld, Dunbartonshire. 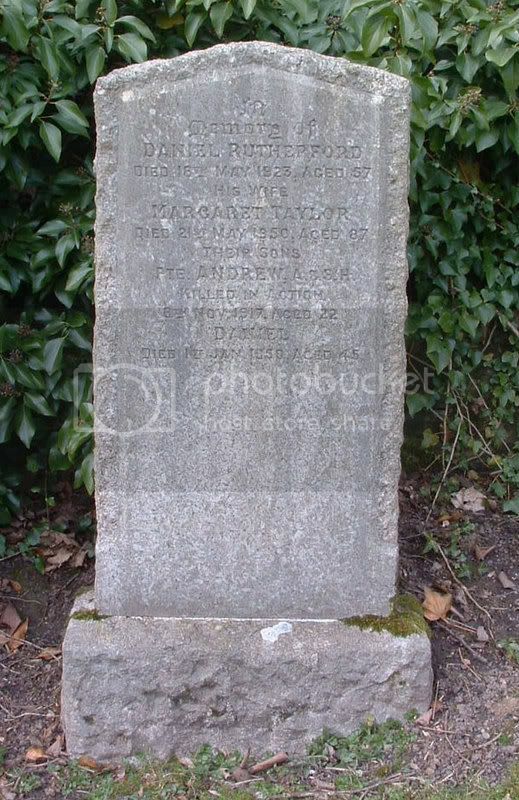 Grave/Memorial Reference:	XXVI. G. 14. Grave/Memorial Reference:	XII. E. 16. 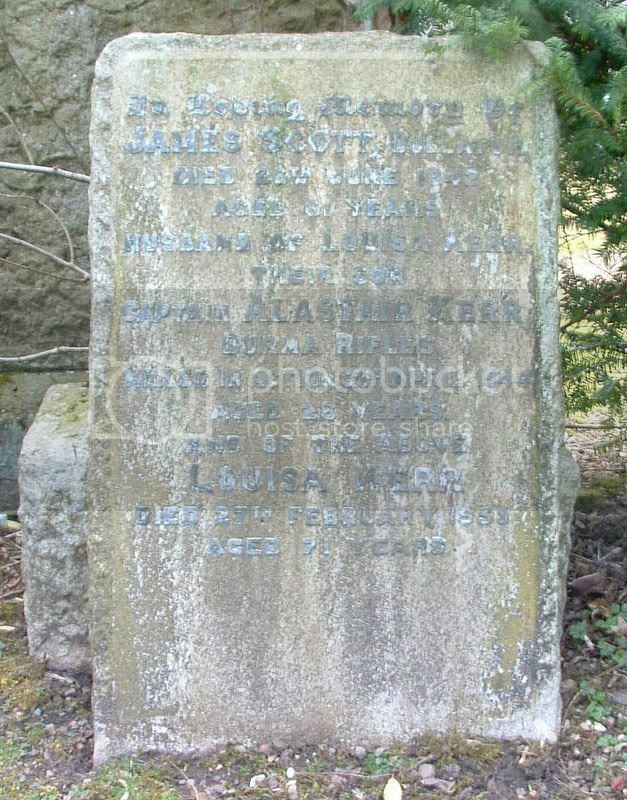 Additional information:	Son of James and Louisa Scott (nee Kerr) of Dullatur, Dunbartonshire. 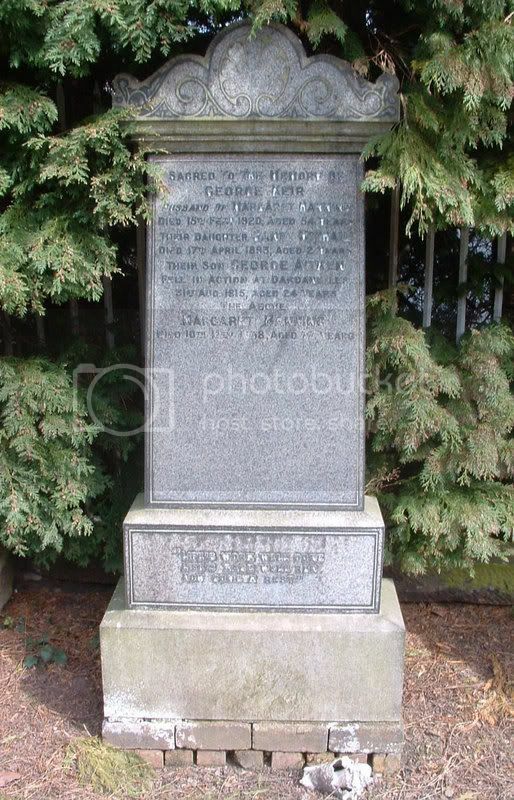 Grave/Memorial Reference:	6. M. 3. 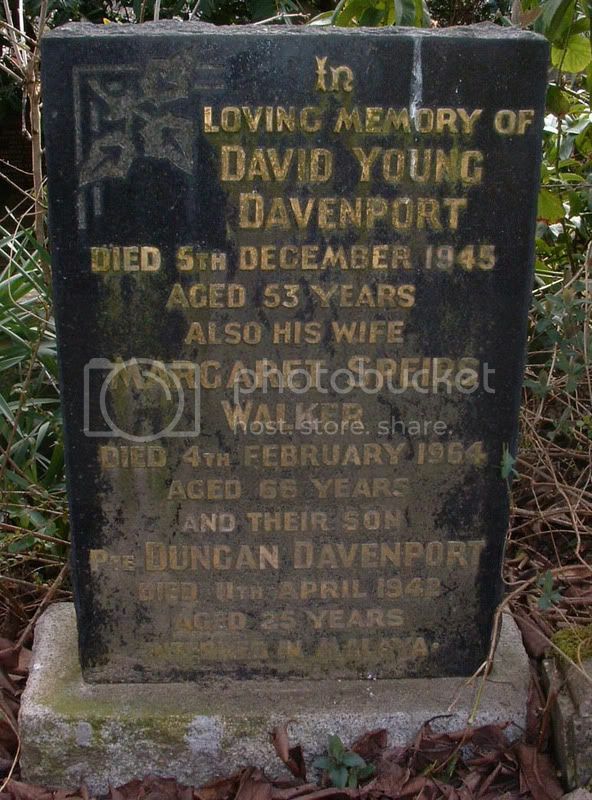 Additional information:	Youngest son of the late Duff and Ann Simpson (nee Bilsland) of Dullatur, Dumbartonshire. 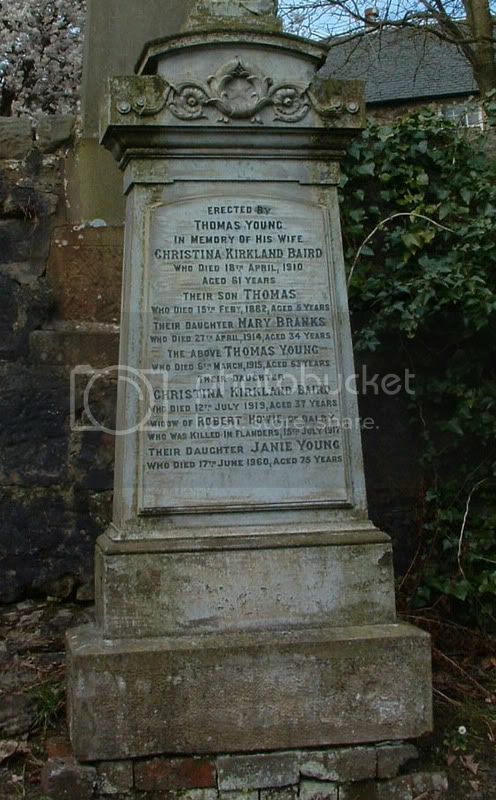 Additional information:	Son of James and Agnes Smith (nee Guy) of Crompton Cottage, Cumbernauld, Glasgow.